Totally away from it all. Away from the daily toil of work. Away from the hum-drum of life. Away from social media inter-connected-ness. And, this is quite a big but…. The bit that involves the heaving of a 20kg backpack full of self-sufficiency stuff (essential if you’re going to have a comfortable night with a nice full tummy), and the inevitable huffing and puffing struggle under its leaden weight. So here we were – Phil, me and our guide Matt – on the banks of the River, about 12km (7miles) to the west of Katherine in the Northern Territory, (Nitmiluk – Katherine Gorge is about 30km (18miles) the other way to the east of Katherine) with the early morning mist gently steaming off the glassy water, surrounded by a pile of camping gear – none of which was even going to get close to touching my back! 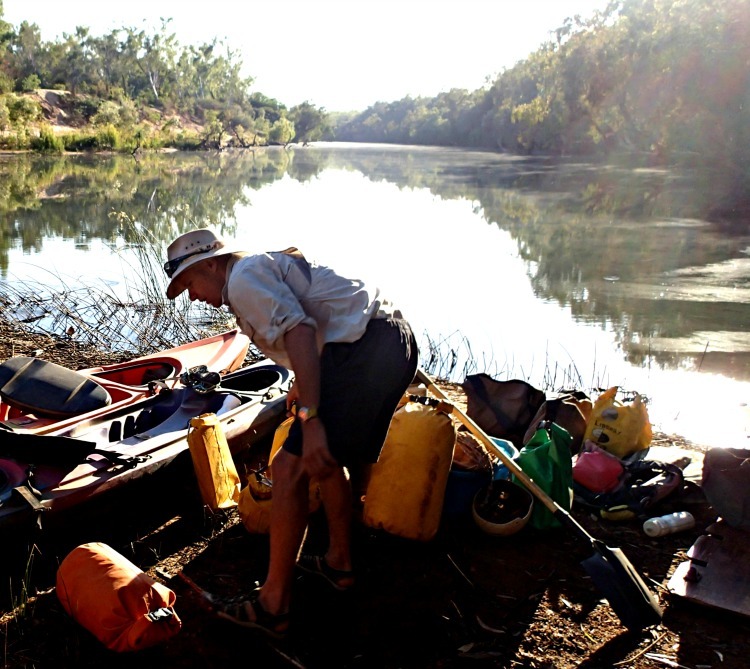 It was all going to be lodged into the canoe and kayaks where effortlessly it would float down the river for three whole days, and be on hand as needs arose whenever we felt like a little snack, or needed our bed roll to spend a night out under the stars. 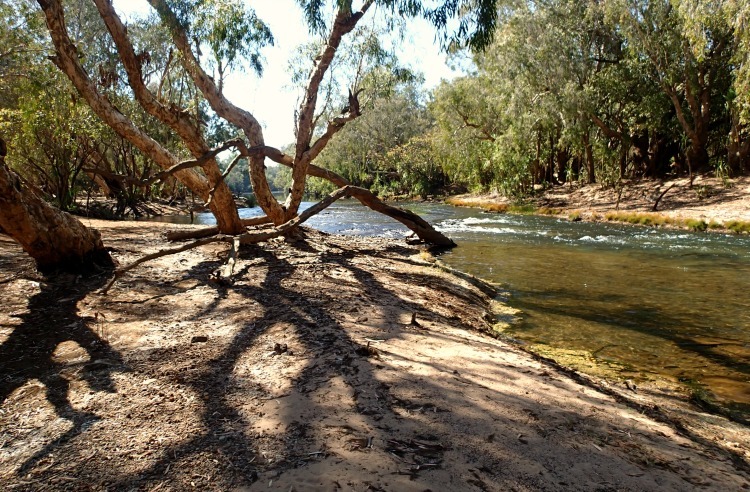 The Katherine River is spring fed so water flows freely all year round – although in the Wet season (Nov- March) it flows between (a hard to imagine) 12 to 18 meters deeper (39 to 60 feet) – So its definitely a Dry season (April – Oct) expedition. 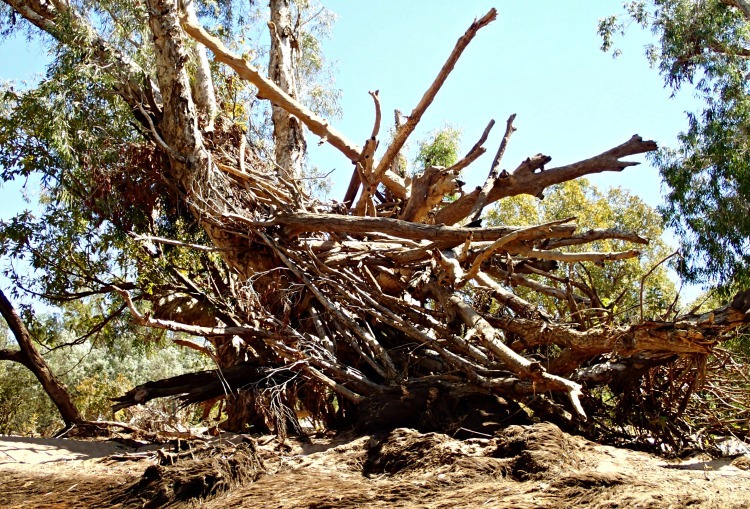 We come to refer to these piles of flood debris as Dinosaur Nests – What else would have the power and strength to create such plunder? But our journey into the wilderness is in more peaceful times, being mid August. He gets the fire going in a matter of seconds and plucks a few Melaleuca leaves from a nearby Paper Bark tree to add to the mix. 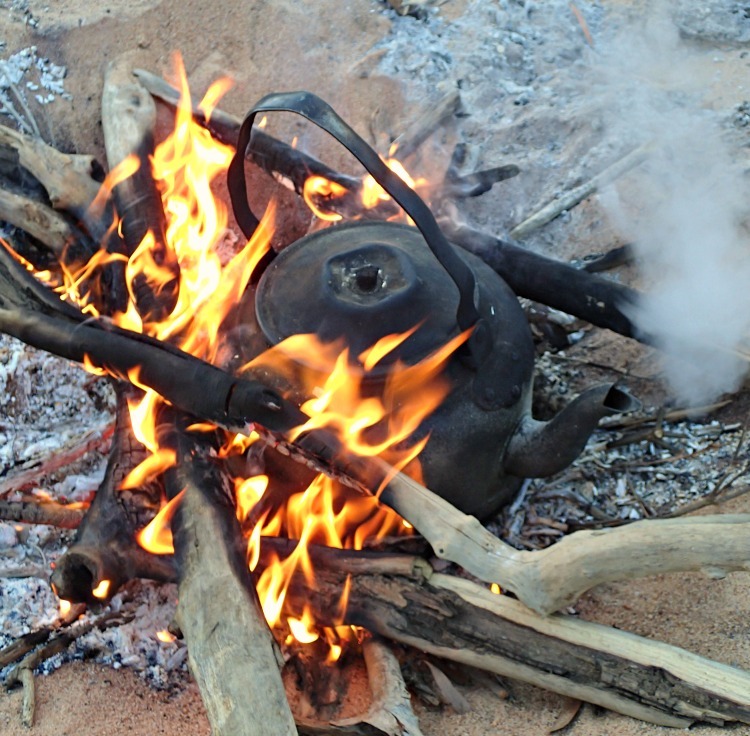 The delicate taste of eucalypt with black tea is divine – particularly when standing immersed in the Ozzie bush and the leaves are so fresh and fragrant. Shortly after pushing off again, we spot our first young fresh water crocodile (Crocodylus johnstoni) sunning itself on a log. 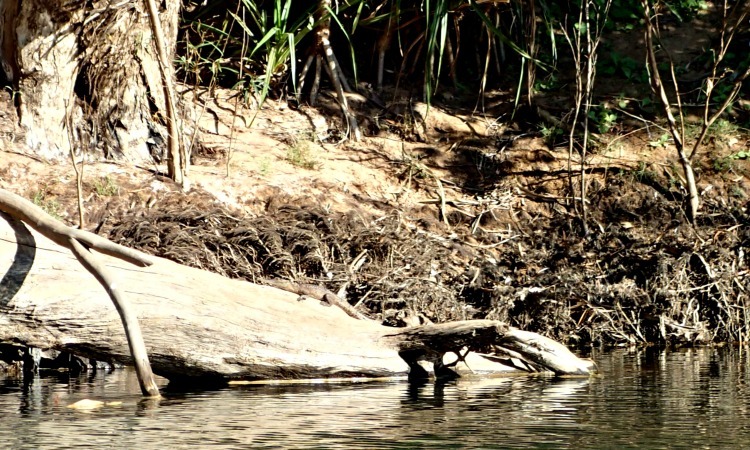 Spot the Freshwater Crocodile sunning itself on the log! Its barely distinguishable from the surrounding sticks and logs. Do you see the freshwater crocodile? Fresh water crocodiles (referred to as freshies) are unique to Australia and unlike their not so friendly cousin the saltwater crocodile, Crocodylus porosus, (referred to as salties – although the term estuarine crocodile is becoming more prevalent to reflect better their habitat), freshies do not generally pose a threat to man – especially these littlies that are more like a lizard. For a starter, as a species they’re smaller than the salties. Females reach a maximum of 2m (6.5 feet), and males generally no more than 3m (10feet) and unless cornered or defending territory will not be aggressive. And their slender, more pointed snout with needle like teeth restricts their eating to smaller prey such as fish, snakes, freshwater crustaceans and unfortunately the cane toad, which has now penetrated this area and is proving deadly to them. However, its not long before we pass a crocodile trap, definitely aimed at catching something bigger than we’ve just seen. 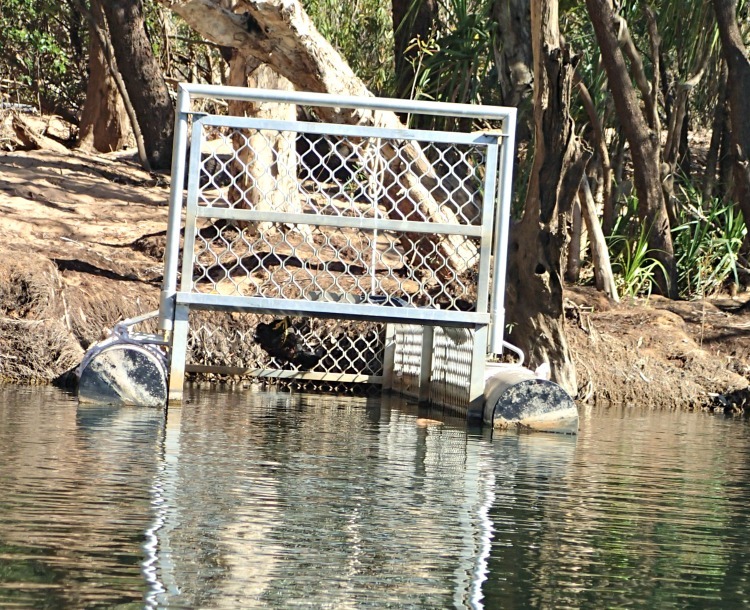 Estuarine crocodile traps are part of Katherine Parks and Wildlife Management Plan to be CrocWise. 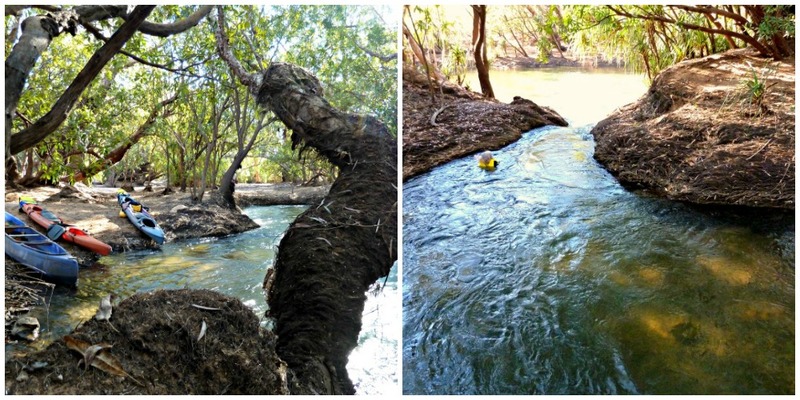 Baited, generally with a dead chicken, the Parks team remove saltwater crocodiles that could be in sections of the river, such as this, where there’s human activity – and once caught are generally transferred to a crocodile farm – re-release in a more distant area of the Park isn’t an option due to their finding their way back! 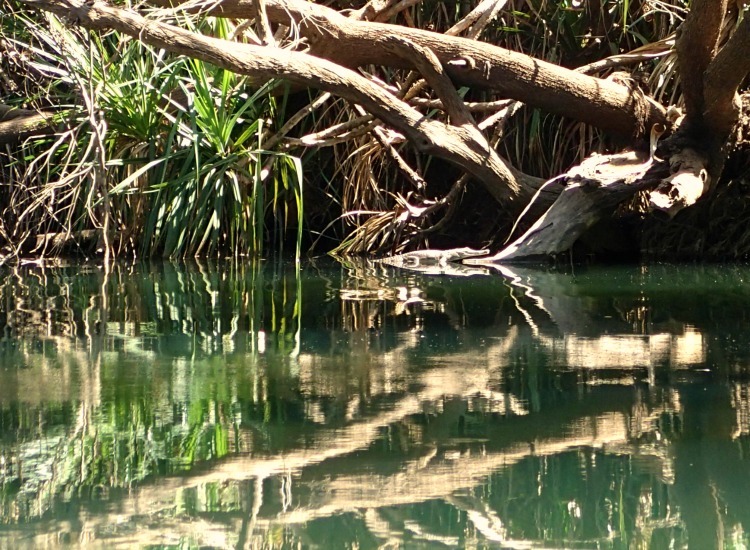 Not surprisingly, swimming in deep murky sections such as this should never be contemplated – So, being CrocWise, any pit-stops we make on our down river trek are either where the water is running very shallow and clear, or close to rapids, which are not good spots from a croc’s point of view when on a hunting expedition! There’s an amazing array of bird-life to be seen in this savannah country. 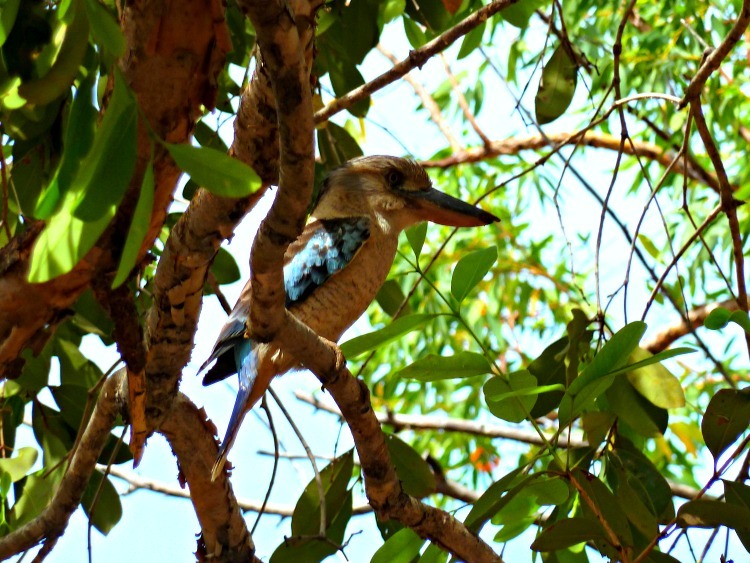 On the first day we spot 16 different varieties (without really trying) including the blue winged kookaburra who kept catching our eye as he flashed through the sky flitting from tree to tree with his stunning turquoise blue wings. 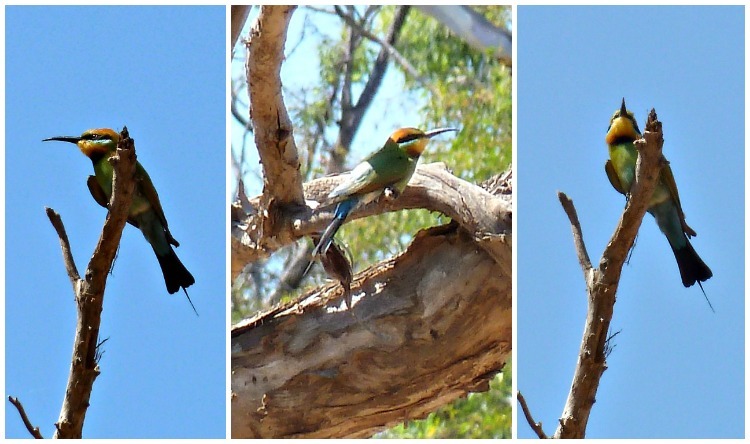 And the Rainbow Bee Eaters who aren’t only eye catching with their stunning colours, but can’t be missed with their aerobatic antics above the water. 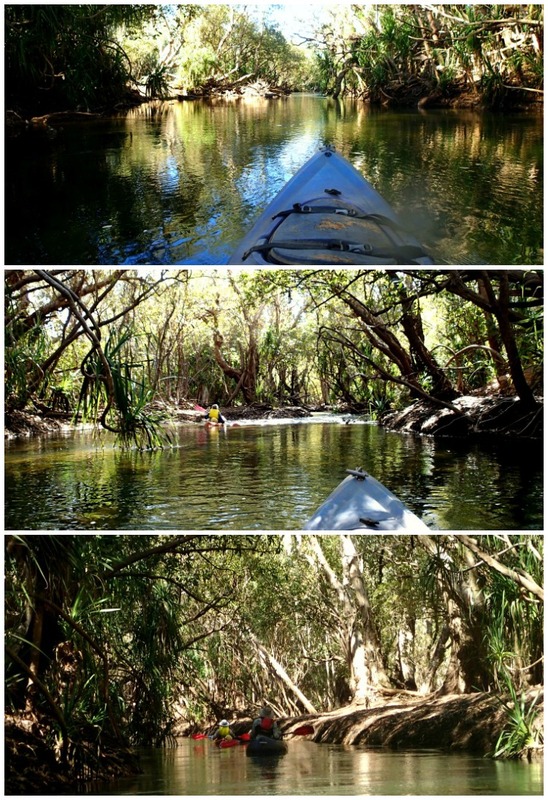 The river landscape varies from wide and meandering to narrow channels and the final section for the day took us through a wonderful shady-glady pandanus grove. After pulling up our kayaks on a sandy beach at the base of a small falls, where the water rushed past to rejoin the main river we set up camp. 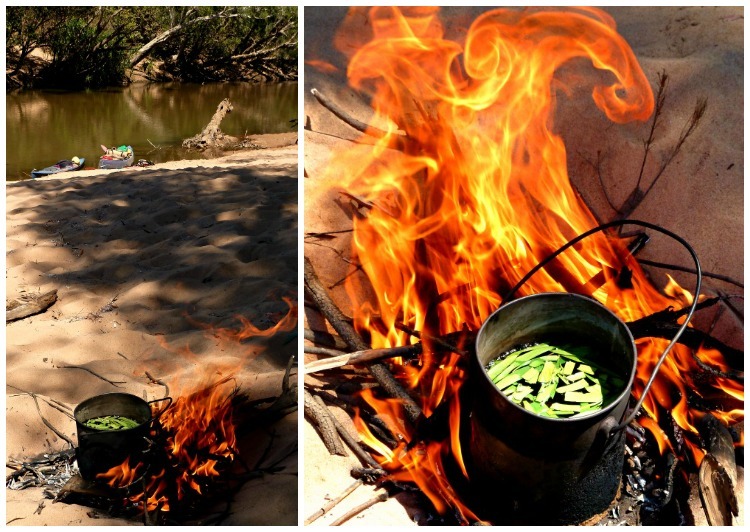 Matt immediately set to to get the fire going and prepare a dinner of Barramundi with a delicious array of salads. While I walked back up the side of the channel a little way to do a sketch of this beautiful vegetation – definitely one of my favourites – Pandanus screw pines, which are often referred to as Pandanus palms, despite being no relation to the palm family. And then a quick dip in the fast flowing stream before dinner. That’s my little head on the right bobbing down the fast flowing natural waterslide that poured back into the main river past our camping spot. And after dark we were spoilt with a light show of shooting stars. Lying in our swags under the night sky we’d managed to pick the best two nights for seeing the annual Perseid’s Meteor shower! We were treated to a wonderful spectacle of light bursts flash – and in one case literally explode – across the sky. without having to carry a backpack? And if you’d like to be notified when I publish future new posts simply enter your email below and I’ll give you a cooeee! 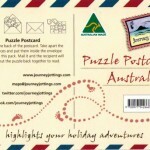 This entry was posted in Australia - Top End and tagged crocodile, freshwater crocodile, katherine, kayaking, northern territory, top end by Linda. Bookmark the permalink. The freshies are nothing to worry about – they aren’t by nature aggressive, and have a totally different jaw structure to the salties. 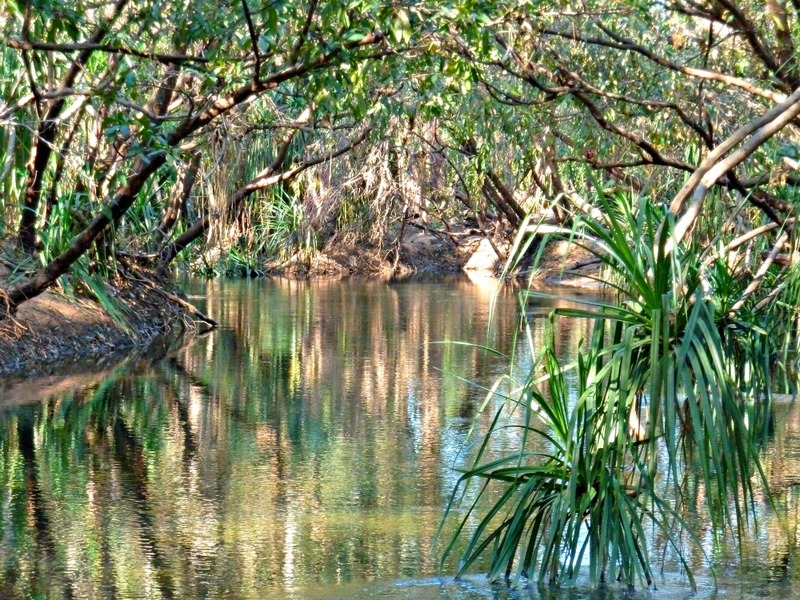 Happily Parks and Wildlife have permanent crocodile traps set with tasty chicken to lure any of those that may come into the area during the wet season when the river is running higher – But obviously one doesn’t test providence and do silly things like go swimming in any deep murky sections! Our local guide was extremely knowledgeable and experienced in crocodile habits – so we were in good hands. 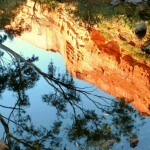 And thanks for sharing your gorgeous photos of your trip! 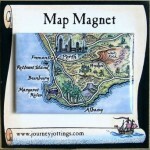 I really enjoyed your photos and narrative—and, of course, your journey map. 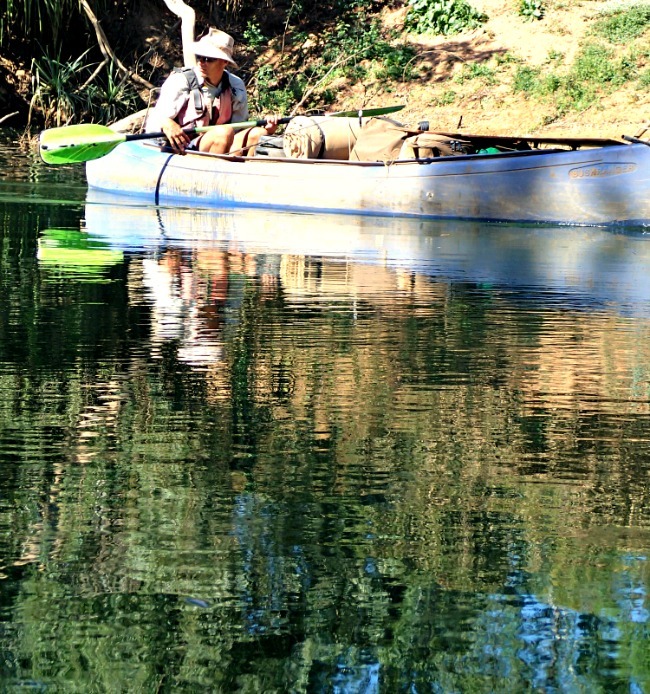 Did you have to do any special training to get in shape for kayaking? I have a pretty good idea of my walking fitness level, but I’m afraid my arm muscles would give out within a few hours. Over the 3 days we covered about 50 km (30 miles) and happily because the river was spring fed even where it widened out and the flow slowed it was still carrying us downstream at a kph – for many parts it flowed at 4kph, so with a few additional sweeps of the paddle it had us scooting along. The only thing I did start to think by the third day was that a pair of finger-less gloves would have been nice as my ‘delicate’ hands did start to feel the effects of holding the paddle all day. Sounds amazing Linda! Not sure about the crocs though… do you know if there is a more local (Brissie/Sunshine Coast) possibility anywhere? Its by having a healthy respect for those crocs that will ensure your safety Lisa! 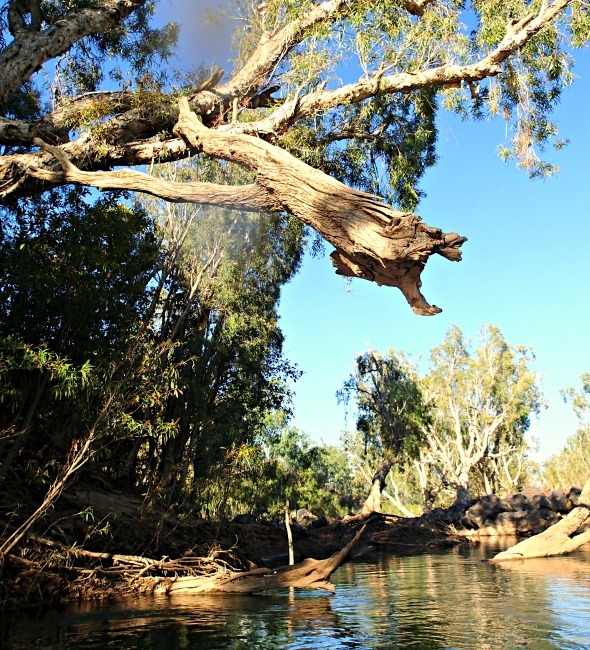 On the Katherine River though, after the Wet season, the traps are set and Parks and Wildlife remove any strays that have wandered in while the rivers were all running higher and so interconnect with the estuarine floodplains. 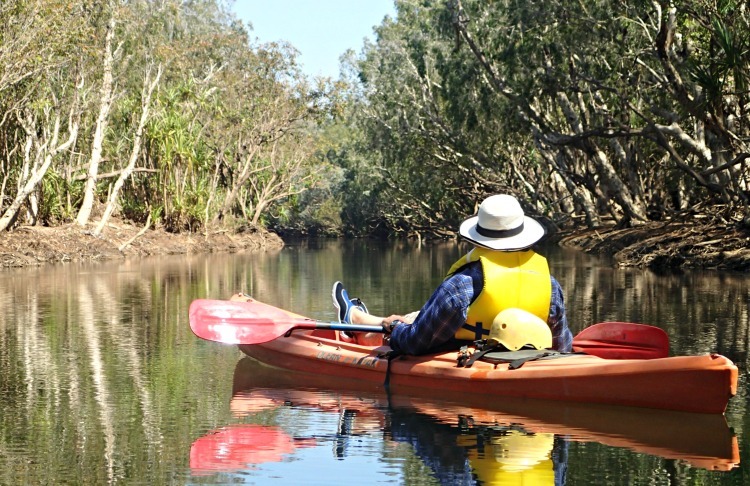 In Brissie Riverlife hire out kayaks on the River. 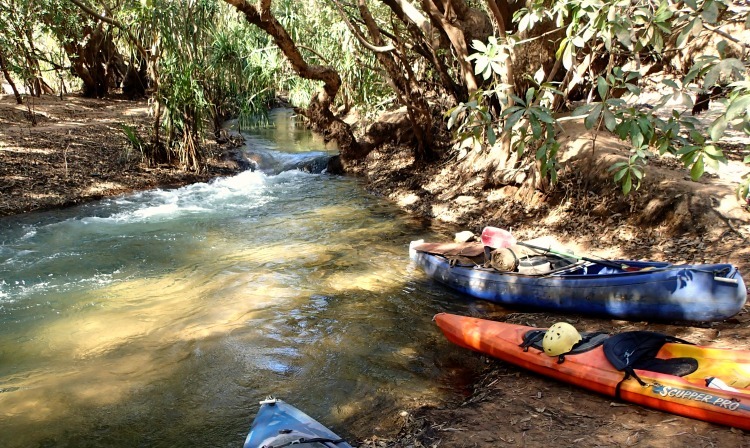 On the Mary River in the Sunshine Coast hinterland there are also places you can hire kayaks – getting dropped off in the morning and picked up at lunchtime. 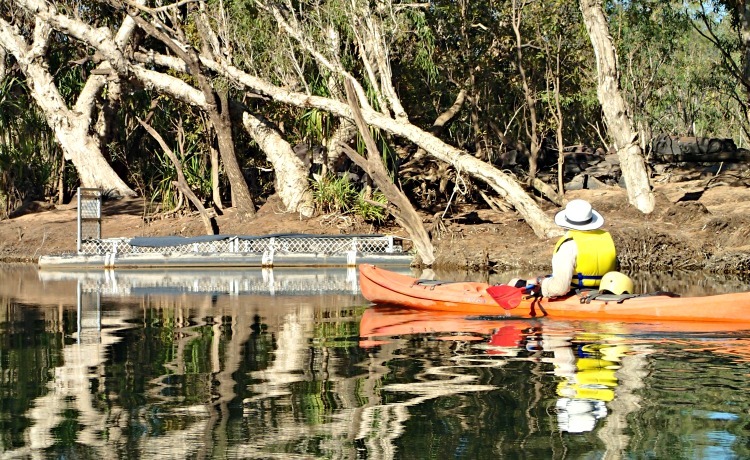 And in Redland Bay to the south of Brisbane – there’s Redland Kayak Tours who will take you out on the Bay, where you can paddle (sans crocs) through the mangroves! What beautiful birds – and illustrations. 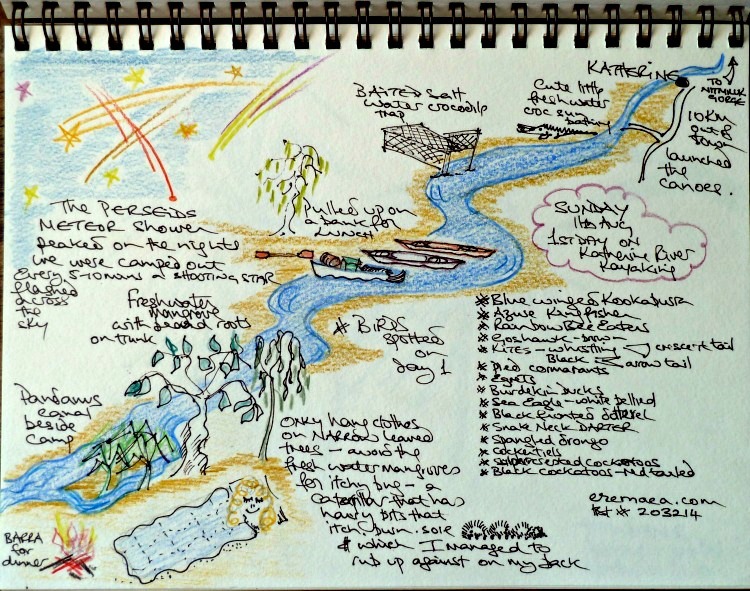 I love a boat trip and did a three day overnight trip down the Zambezi once sleeping in the open air on the banks. What an awesome trip and I too would be wary of those crocs! 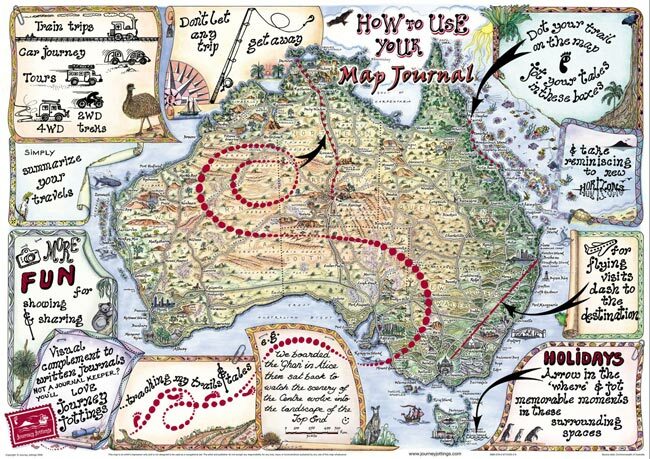 I loved your photos of the billy boiling – just so typically Australian – and of course your maps and journals are a delight always. 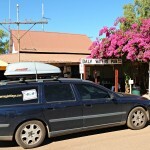 —> Remembering the outback is not a theme Park! It was actually reassuring seeing the croc traps as you knew this section of the River was being monitored and any intruders were being removed. 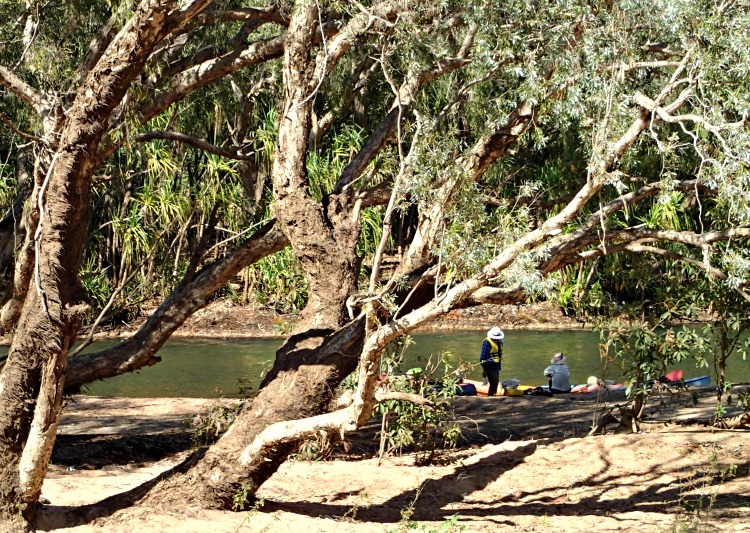 Love the idea of floating down the Katherine. Yeah, I don’t really like carrying things either. Beautiful photos and such an informative narrative. Loved this post! It was lovely – particularly with the downstream current meaning there was very little actual paddling that had to be done! I believe you told me you went kayaking when in the Brisbane area? Where did you go and who with? Your headline grabbed me, so it was Comment Luv (from a comment you made on another blog) that led me to this post. 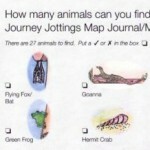 First of all, I LOVE your travel journal. I wish mine looked like that. I had to look hard to see the freshies in those photos, and I like all the photos of the birdlife. I haven’t seen stars in so long since I’m in an area suffering from light pollution. I can just imagine that meteor shower. 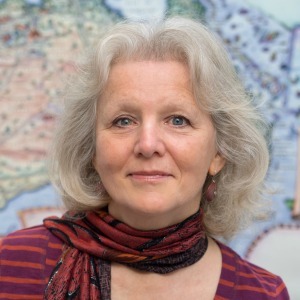 So pleased you came across my blog Michele! 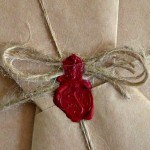 I’m planning on creating a series of posts to guide people (like you!) 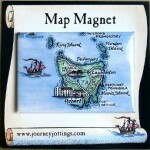 to create their own story maps – so stay tuned! Oh wow this looks amazing. Your photos are so great Linda. I am exactly like you- I detest having to carry my own supplies. I’m always looking for someone else to do it for me! 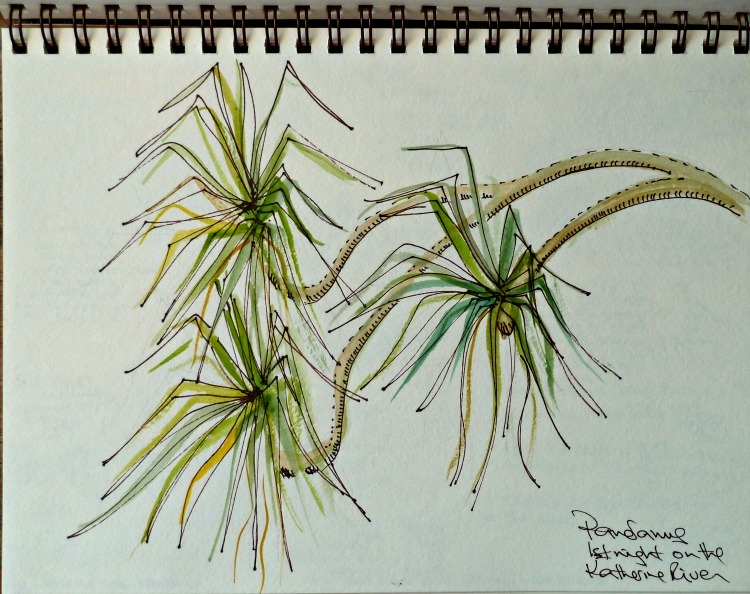 Your photos — and accompanying drawings — of the Pandanus Screw Pines are heavenly! I too love that canopy affect and the feeling of being in a natural tunnel. Everything about your trip sounds wonderful. As a self-professed bird fanatic, I loved your pics of those bold and beautiful specimens. 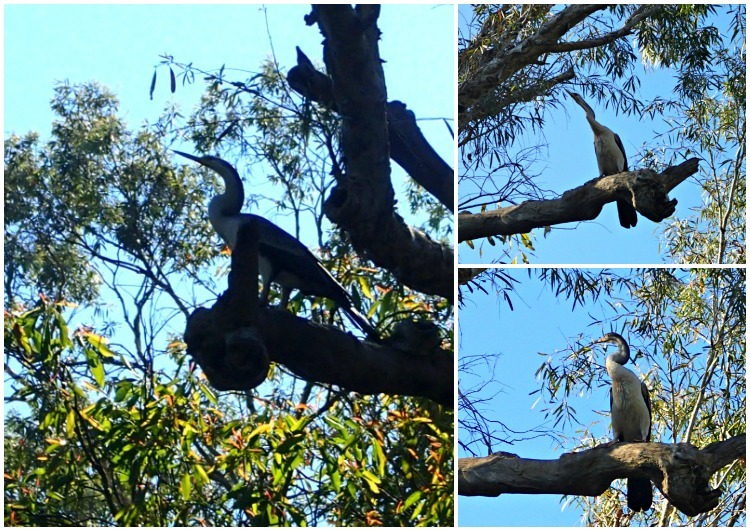 Australia certainly holds the most novel, goofy, and amazing birds! Conrad and I once went on a day hike into the MacDonnell Range around Alice Springs and saw an entire flock of Black Cockatoos — a magnificent sight! They all landed in one smallish tree, making it look like a huge bizarre black lollipop. On that hike we carried small packs carrying water and our lunch — and so were light. We love Australia and can’t wait to get back there! What a beautiful land. Thanks for showing us your corner of it! What a treat seeing a whole lollipop tree of black cockatoos! 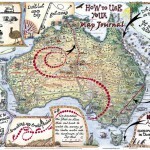 I love the Red Centre of Australia so walking anywhere in the MacDonnell Range would be wonderful!